For Pam Meyer, life behind a soundboard came late, but came naturally. She'd started taking classes at Spokane Falls Community College to improve her chops as a musician, but when class forced her to work in the school's recording studio, "it was an instant love affair," Meyer says. "I was in love with the whole process. I took that class twice, I loved it so much." That was in the early '90s, and Meyer parlayed her new skills into a long-running gig at an old Spokane jazz haunt, freelance jobs with outdoor concerts, and then landed a job teaching in SFCC's then-new audio engineering program in 2006. Two years later, she became the Fox Theater's house sound engineer, where she works keeping the Spokane Symphony and visiting acts sounding pristine. 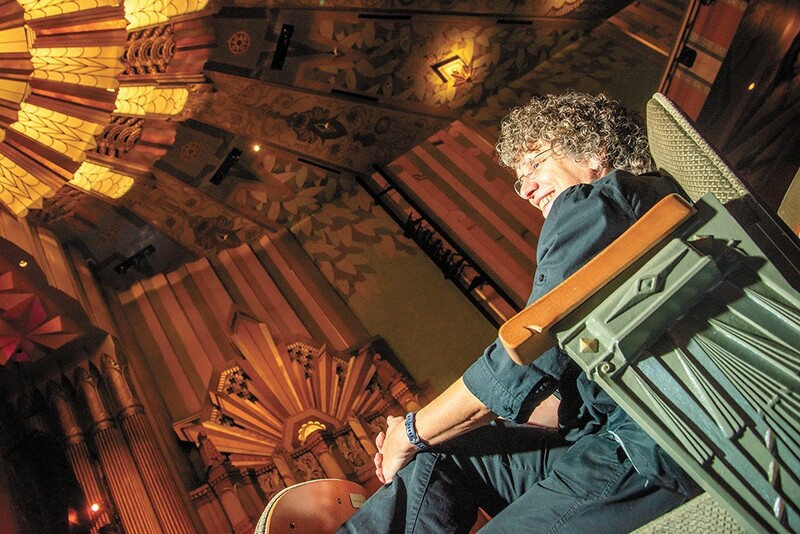 It's a rarity to see a woman behind the soundboard whether you're talking about clubs or large venues like the Fox, a point Meyer illustrates with what she sees as a teacher. The audio-engineering program at SFCC starts with about 40 students each year. At the end of the program's two years, maybe 15 to 20 of those students graduate, and of those graduates, maybe two or three are women typically, Meyer says. And she can only think of three of those female graduates who actually got a job in the industry and stayed in it. The 64-year-old Meyer attributes that lack of female representation as a natural extension of the lack of technological education for women growing up, and credits her time in the military as helping her learn the kind of "knobs and buttons" skills required when working sound. It's also an incredibly competitive field, with not a lot of jobs to go around. She remembers hearing comments early in her career in what she calls "a man's world; this business is male," that made her double down on her efforts to showcase her skills. "When I got started and was younger, there were a lot of snide remarks, I'll put it that way," Meyer says. "And I'd just smile and nod, put my head down and get the job done. My goal always was like, 'F—- you, I'm just going to do the best job you've ever had done for you and make you, at the end of the night, come to me and say that was fantastic.'" The original print version of this article was headlined "PAM 0x000AMEYER"